The only guideline is that you express your thoughts in less than 400 words and send it to the email address linked below. 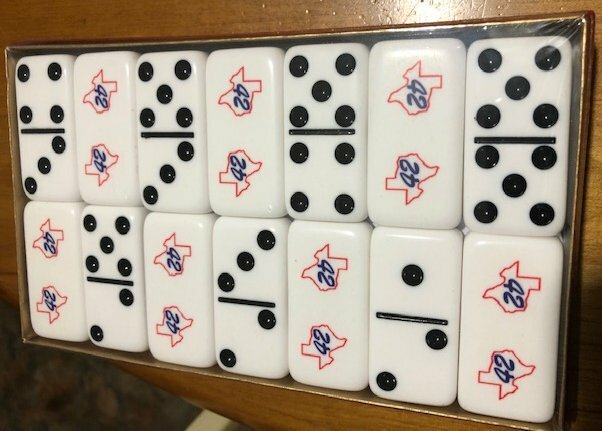 If selected, I will send you the domino set shown above and link your narrative at www.texas42.net/commentaries.html (anonymity optional). I will convert the winning email submittal to a web document for the submitter's approval before linking to it for public viewing. Deadline for submitting narratives is 28 Feb 2019. 3 Mar 2019: Scott Kemp's entry was selected as winner. His narrative is posted here.